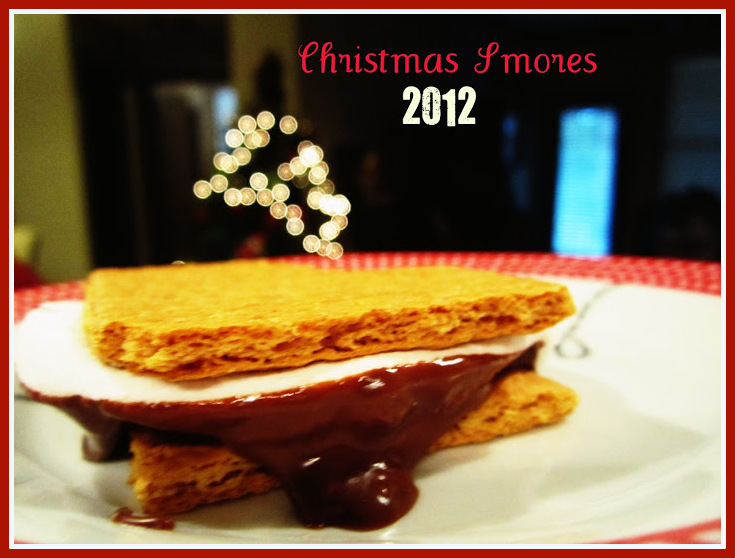 This year, Santa was offered a smores plate on Christmas Eve for his travels. It was simple to make. Start with a graham cracker cookie. Place 2 Hershey pieces on top. We found these special marshmallows made just for making smores. You can use one or two. Melt it just like this in the microwave for 10 seconds. Then, top it with another graham cracker. Give it a gentle smudge, let the marshmallow ooze out a little and the chocolate will also melt. Enjoy!